You've just finished a long run or gruelling race and simply put, your feet need some TLC. HOKA ONE ONE put their lauded oversized midsole and meta-rocker into a sandal to create exceptional comfort. No flip, no flop, just comfort and support. Your tired feet just got rescued. "good quality and shape just what was wanted"
"Tremendous . 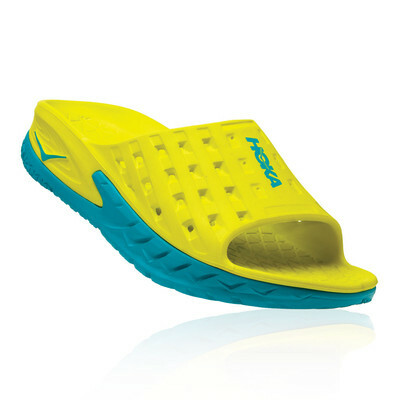 Great after a run"
The Ora Recovery Slide Sandal from Hoka uses the Hoka specific feature known as Meta-Rocker Geometry. This technology was specifically designed with a low heel-to-toe differential and sculpted outsole in the heel and toe which creates a unique fulcrum effect, like a rocking chair for your foot, encouraging a guided gait cycle. 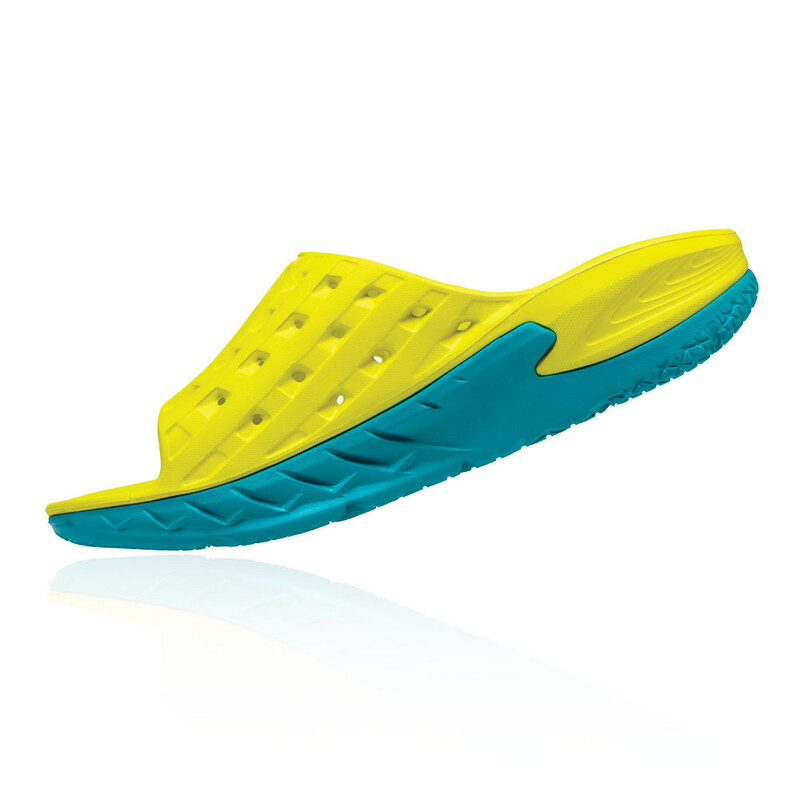 The dual layer construction enhances the durability of the Flip, allowing it to help the wearer's feet to recover from numerous training sessions. 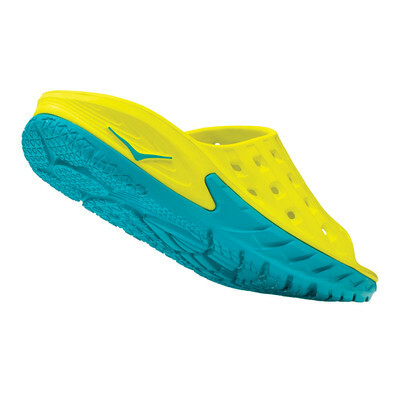 The top layer is made from a soft EVA foam which offers a much-needed plush cushioning and allows for immediate step-in comfort. 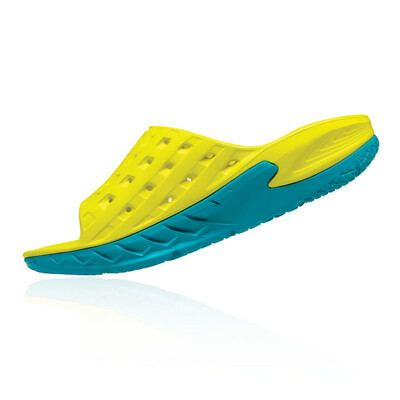 The bottom layer is made from a superbly durable Rubber which uses strategically placed grooves to further improve comfort and offer the wearer much-needed traction to allow them to stay as steady on their feet as they are comfortable. Early Stage Meta-Rocker - Encourages a guided gait cycle. 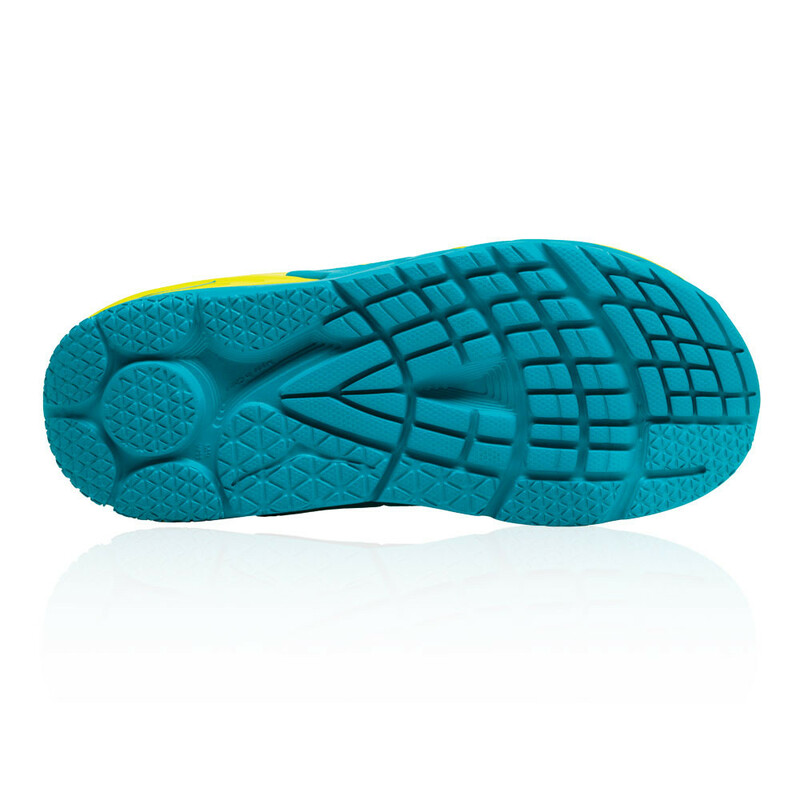 Dual Layer Construction - Enhances durability. EVA Foam Top Layer - Plush cushioning and step-in comfort. 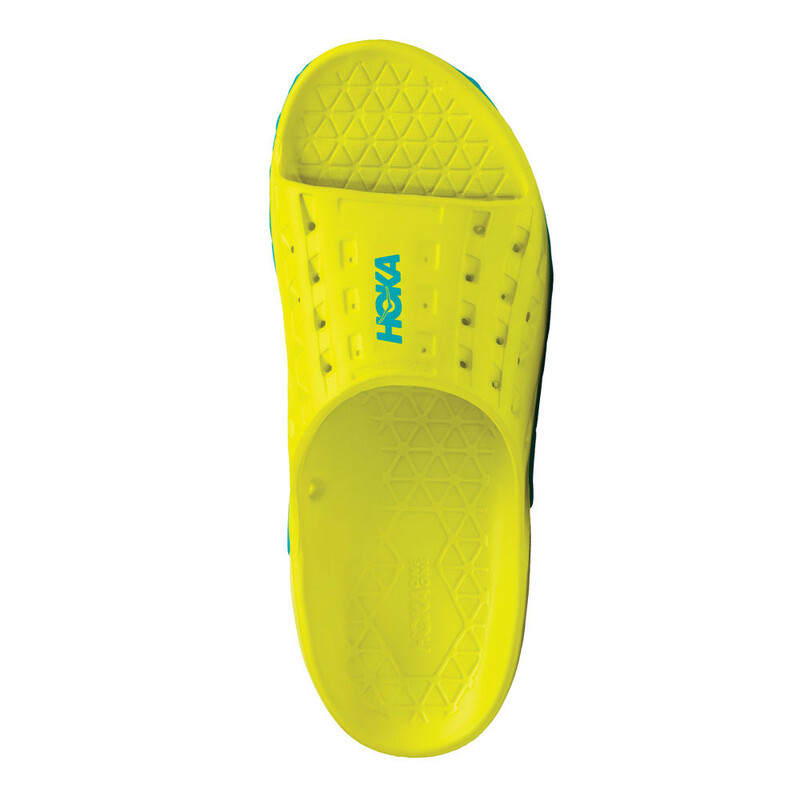 Rubber Bottom Layer - Uses grooves for comfort and traction.